The benefits of owning a property in an HPOZ are many. First, property prices are proven to increase more significantly over time in comparison with surrounding neighborhoods that lack the designation. It's also comforting to know that the neighborhood aesthetic you cherish will remain intact for years to come thanks to the HPOZ rules. An HPOZ designation also creates a sense of community among neighbors. Just applying for HPOZ status is a grassroots undertaking initiated by the community itself and requires 75% of owners within the proposed zone to be on board. Neighbors meet and work together regularly through the HPOZ approval process. The result is deep pride of ownership and shared community accomplishment. Another common result is higher asking prices on homes for sale, especially in places like the Highland Park-Garvanza HPOZ. However, there are new and pending HPOZ pockets that have recently been approved adjacent to the Garvanza district. Many buyers are unaware of these and they still provide bargains and a substantial upside for those looking to buy in the area. Once a buyer becomes familiar with the benefits of buying in an HPOZ, the question often becomes "How do I find homes for sale in an HPOZ?" There are currently 28 HPOZs in Los Angeles with 10 more under consideration. To begin your search, refer to this detailed map provided by the Los Angeles Office of Historic Resources. 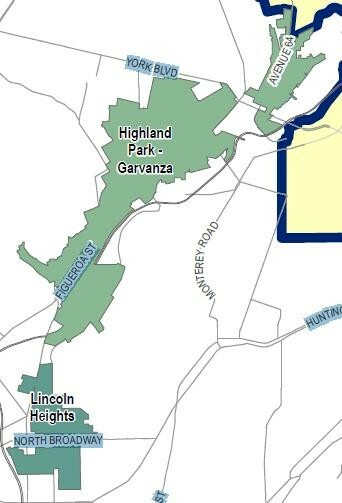 If you look specifically at the Highland Park-Garvanza HPOZ, you can see just how large it is. It encompasses around 4,000 structures in historic Highland Park and continues to expand. Next, in order to find where the best deals are yet to be had, contact a real estate agent familiar with Historic Preservation Overlay Zones. It's best to work with someone who has their finger on the pulse when neighborhoods go from pending to certified and can get you in the door prior to the resulting increase in asking prices. Also, a seasoned Los Angeles real estate professional can counsel you on whether or not a price seems fair or inflated for an HPOZ structure based on comps in nearby HPOZs. Third, check out this multi-unit property listing on S Ave 51 in the Highland-Park-Garvanza HPOZ as a prime example of what type of historic homes are protected under the HPOZ designation. 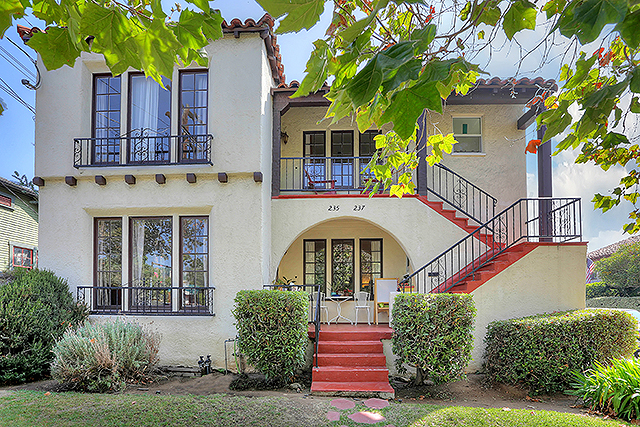 It's a classic 1932 Spanish Revival triplex full of old-world charm with decorative fireplaces, original hardwood floors, large bedrooms, tiled baths, and formal dining room. Finding an affordable home in an HPOZ is still possible. The potential upside in market value, strong community bonds and preserved aesthetic appeal make it a very smart move in today's fast-moving market.Purchasing an HPOZ property like this comes with the assurance that two years from now your neighbor won't raze their craftsman bungalow in order to build an apartment building. In an HPOZ, it's simply not even a consideration.